When I was at UNSW yesterday — prior to my debate with Mark Diesendorf — I met up with Ted Trainer, author of ‘Renewable Energy Cannot Sustain a Consumer Society“. We had a great chat, and I think I even inched him a little towards IFRs (ever the optimist). Anyway, Ted asked me to post up his (revised) critique of the Zero Carbon Australia 2020 renewable energy plan for critical feedback — see below. This piece nicely complements the already published critique by Martin Nicholson and Peter Lang (see here) and the initial BNC brainstorming session (550+ comments). The question I now ask is, are the BZE team planning to respond to these two substantive pieces? I would be happy to publish their rejoinder here on BNC. The gauntlet is thrown down. Will they respond? Zero Carbon Australia, M. Wright and Hearps, Univ. of Melbourne, Energy Institute, August 2010.
by Ted (F.E.) Trainer, Social Work, University of NSW, Kensington. The ZCA report argues that Australia could run entirely on renewable energy by 2020. I think this lengthy and detailed report is a valuable contribution to the energy discussion, containing much up to date information and many ideas and proposals that are promising. I believe it heads in the general direction Australia should take. However I think the report is quite mistaken in its optimism, that is in its conclusion that Australia can convert to renewables. This conclusion is based on a number of assumptions, some of which seem to me to be highly challengeable. My current understanding of the global (not Australian) situation is summarised in “Can renewables etc solve the greenhouse problem — The negative case.” Energy Policy, Aug. 2010, (which I will refer to below as CAN). ZCA has helped me to see some mistakes in my analysis, which will enable improvement of my current attempt to apply the general approach to the Australian situation. The issue is of course absolutely crucial and ZCA has made a significant contribution to the process whereby we try to sort out the situation. ZCA concludes that there is a neat and simple way growth and affluence society can be made sustainable, quickly and affordably. My view is that global problems cannot be solved within or by a society committed to affluence and growth. The potential of renewables is a central issue in this gigantic debate, (although it is not crucial, that is, even if renewable energy turns out to be sufficient there are many other reasons for scrapping the core systems in this society, especially to do with global economic injustice. In recent years Australian energy consumption has been growing at over 2% p.a. ;, although ABARE expects this to fall to 1.9% p.a. by 2030. ZCA notes electricity consumption is growing at 3.15% p.a., and transport energy use is growing at a similar rate. A 2% p.a. growth rate indicates that demand will double by 2045. In my view the appropriate target for a discussion of the Australian energy problem is the likely 2050 demand. In other words as I see it the discussion should begin by focusing on supplying around 8000 PJ/y in 2050 if business as usual continues, and then consider how conservation effort and new ways might reduce this. It therefore seems to me quite inappropriate for ZCA analysis to take their target as meeting present demand of 3900 PJ. Their argument is only that this 2008 demand can be dramatically reduced, and then met by renewables. But what about the forces that are driving demand increase all the time and will continue to do so as there is continued pursuit of economic growth and higher “living standards”… They do not discuss the 2050 task at all, beyond about two sentences, the main one being “Ongoing per capita efficiency gains of 1 – 1.3% p.a. after 2020 keep total demand steady at least to 2040, while allowing or population growth.” (p. 15.) No support is given for this statement. On p.130 they say their plan “…intends to decouple energy use from GDP growth”, with no further comment. The implied assumptions are astronomical, i.e., apparently that the factors presently driving over 3% p.a growth in electricity and transport energy demand at will cease to operate from now on. The report assumes that the general efficiency of energy use can be increased markedly. However, I have not been able to find more than a few scraps of useful data on what is likely to be achieved. (In CAN I assumed a 33% reduction.) The 2050 task for ZCA therefore seems to me to be dealing with a 6400 PJ/y BAU supply task. ZCA assumes light and heavy trucks and all cars can be run on electricity. My understanding is that big trucks and long distance trips are not going to be conveniently battery powered, in view of energy density, the recharging task, etc. ZCA assumes greatly reduced use of cars but nevertheless it seems to me from Mackay’s analysis (2008) that the rate of battery use and therefore lithium per capita would exceed that which all the world’s people could have. ZCA assumes most travel and freight transport can be diverted to rail. This is problematic; can rail get individuals and consignments to their unique desired destinations well enough given present expectations re convenience and time. It would take an huge increase in existing infrastructures to make this a satisfactory way for most people to get to where they want to go. ZCA also assumes long distance truck transport will be powered by overhead electricity lines, but the infrastructure cost of this is not discussed. The main problem the transport analysis seems to involve is to do with improved energy efficiency. ZCA claims changing from petrol to electricity would enable a 5 fold improvement. This is based on the performance of a light electric car and a Camry. But the figures given refer only to what can be achieved by electricity coming out of the battery, and do not include the losses in getting the energy from the windmill into the battery. Bossel (2004) shows that when distribution losses, battery charging etc. are included there is a 50% loss between windmill and wheels. It seems then that a more appropriate gain from electrifying cars would be closer to half that ZCA assumes. Another problem for electric transport concerns Life Cycle Analysis of the new vehicles. Mateja (2000)says that when the need for exotic materials is taken into account an electric car takes a surprising amount of energy over its lifetime, compared to large petrol-driven cars. Another challengeable claim is that car batteries can be charged with wind and/or sun are at their best. This seems mistaken because car batteries have to be fully charged by the time people want to drive to work or back, whether or not it’s a windy day. Thus ZCA’s transport claims seem questionable. We can surely go a long way in the direction they advocate, but how far? It would seem to me from the above points that we might expect to achieve one-third of the gains they claim. At present transport constitutes about 33% of final energy use. If by 2050 this is still the case, and ZCA proposals can cut it in half, we’d still need 1,335 PJ/y for transport. ZCA argues that the proposals mentioned above can cut transport demand to 320 PJ/y. Issues on the supply side. Again it is important to note that the ZCA strategy assumes almost all energy can be provided in the form of electricity. Therefore they are in a position to say that wind and solar thermal can provide most of it. Wind is assumed to provide 40% of energy needed. Lenzen’s review (2009) concluded that in general problems of integration limit wind to a 20-25% contribution. ZCA argue from the Danish situation, and this is not valid. It is well known that Denmark’s situation is unusual, being a very small nation close to large nations and therefore able to export surpluses and import electricity when the winds are down, and to draw on the regions considerable hydro power when necessary. Some good wind regions might be able to integrate much more than 25% of supply from wind, but 40% cannot be assumed as a valid figure for Australia. Denmark produces wind energy equivalent to about 20% of its consumption, but only about 4% of its demand is met by its wind energy. The basic electricity supply strategy ZCA offers is to use all the wind energy all the time, then top up with energy from the solar thermal system, drawing on the 17 hour storage built into each plant. It is claimed that very little hydro and/or biomass would be needed to bring supply from these components up to demand. A more realistic assessment of the storage problem would play havoc with other aspects of the report, such as the claim that 55 GW has been explained as “firm and “reliable”, and the biomass said to be sufficient. The second major issue in this supply strategy is the huge over-sizing of the solar thermal system that is assumed. Fig 4.1 makes clear that because the variability of wind is so great, fluctuating between providing 40% of demand and around 0%, a great deal of solar thermal capacity has to be on hand to plug the gaps, i.e., to completely substitute for wind sometimes (because the plot shows that 15% is not ‘firm”.). But that capacity goes on producing energy on the days when wind is contributing 40%, so the solar thermal energy is then dumped. The discussion states that some 30+ of solar thermal energy is “curtailed”, but in Fig 4.1 it looks close to 50%. System over-sizing makes sense as a way of dealing with variability, but the important point these graphs make clear is the great magnitude required. To cope with the variability of wind in a system where it supplies 40% of electricity demand, you seem to need to have built an equivalent amount of extra solar thermal generating capacity, and you will have to dump half of the electricity it generates (or heat energy it collects.) This has major implications for system plant redundancy and investment cost; below. It is good that the report refers to the embodied energy cost of plant, or pay-back time, but I don’t think the brief treatment is satisfactory and I think the figures are far too low. I have found the literature on this issue is scant and inconclusive and I feel we are not close to a good understand of the situation. Fig. 2.27, p. 37 seems to say about 1% of a solar thermal plant’s life time energy output would be needed to produce the plant. Lenzen reports 10.7% for central receivers. ZCA ‘s plot seems to indicate perhaps 1% for wind, but ISA states about 7%. ISA’s figure for PV is more than 6 times the figure ZCA assumes. The most important unsettled issue re embodied energy costs is whether a full accounting of all ”upstream” factors has been included. For instance in addition to the energy it takes to produce steel it is important to include the appropriate fraction of the energy it took to produce the steel works, etc. Lenzen and Treloar argue that for steel a full accounting more or less doubles the figure arrived at. For PV panels Lenzen et al. (2006) conclude that a full accounting actually trebles the commonly stated pay-back time, making payback time equal to one-third of plant lifetime. I am pretty sure no one has carried out such a “full accounting” for solar thermal plant, and this suggests that even the 10.7% figure is likely to be much too low. The biggest problem with ZCA’s solar thermal discussion is to do with whether plant peak or average output has been used in deriving quantities and costs. It seems to me that the wrong one has been used. The need in Fig 4.1 is for enough solar thermal plant to generate a constant 35 GW. ZCA seems to be saying that 156 central receivers each of 217 peak MW and each of 2.65 million square metres collection area, will do this. This would be true if 217 MW is the average output per central receiver, but not if it is the peak output. Sargent and Lundy say that the solar to electricity efficiency of central receivers is under 8% (2003), but they estimate it can be raised to 17.3% in future. (ZCA’s Fig. 2.19 shows 10.4% for the Andersol plant. If we take the 17.3% figure and 2.65 million square metres of reflectors and the average 7.9 kWh/m2/day ZCA assume, then output only averages 143 MW, not 217. Figures on solar radiation from different data sources vary surprisingly. Again the NASA source indicates that for Mildura in winter DNI is only 3.9 kWh/m2, and in addition radiation is not the same every year and NASA says the Mildura figure can be 3.45 kWh/m2/d in winter, some 25% below the figure ZCA takes. In other words the output of the Mildura plant in winter would sometimes be 62 MW, a long way under 217 MW. The forgoing discussion does not take into account the fact that the winter performance of central receivers compared with their summer performance seems to be even worse than for troughs. What seems to be the only publicly accessible data, from the early SANDIA/NREL projects (e.g., Radosevich, 1988), shows that in winter output falls to around one-seventh to one-tenth of summer output. (The geometry of trough and central receivers determines that in winter the average angle between sun, reflector and absorber is much worse than in summer.) Taking this factor into account would mean that output at Mildura in winter would be even lower than he above estimates indicate. ZCA does not discuss this issue. Another major area of concern is to do with assumed future costs. Nicholson and Lang make several important critical points here, firstly that the solar thermal technology assumes is anything but well established and cost reductions should not be assumed, let alone falls of 50% or more. Indeed they provide impressive information on recent large cost rises in alternative technology costs. For instance the cost of wind energy systems has increased markedly in recent years. In the early 2000s around $1500/kW was assumed but ABARE (2010) estimates recent Australian installations are costing $2,900/kW, having undergone a 30% increase in one year. ZCA assumes it will be about half this amount. Nicholson and Lang rightly urge caution re adoption of the “learning curve” notion. This applies usually to refinements and increases in scale which come with experience in building more units of an established technology, and neither the 7.5 MW wind or 220 MW solar thermal units ZCA assumes have even been built yet. In the establishment phase huge cost over runs are common. i. The efficiency gain assumed for electric vehicles should be perhaps halved. ii. The assumed proportion of travel that can be transferred to electric vehicles is too high, in view of how well people and freight can be got to intended destinations by light vehicles and public transport, and in view of what people will accept. iii. The embodied energy costs of plant might be much more than 10 times as high as has been assumed. iv. Far more storage for solar thermal needs to be assumed, perhaps 96 hours, as distinct from 17.
v. The amount of solar thermal capacity might need to be trebled I am right about the peak vs average issue. vi. Very optimistic assumptions and estimates have been made throughout, including regarding costs. Note that all of the above points refer only to achieving the energy supply target ZCA assumes, which I began by arguing is mistaken. If the 2050 supply problem we are heading towards is addressed the target would be 6400 PJ/y, (after taking off ZCA’s assumed general 20% efficiency gain) not 1660 PJ/y (let alone 1330 PJ/y.) That is, the task would be 4 times as great. Australian Solar Radiation Data Handbook, (2006), ANZ Solar Energy Society, April. Energy Partners, 6260 6173. Bossel, U., (2004), ‘The hydrogen illusion; why electrons are a better energy carrier’, Cogeneration and On-Site Power Production, March – April, pp. 55 – 59. Ecofys, P.O. Box 8408, NL – 3503 RK Utrecht, The Netherlands. www.ecofys.com. Davy, R. and Coppin, P., (2003), South East Australian Wind Power Study, Wind Energy Research Unit, CSIRO, Canberra, Australia. EPRI (2009): EPRI (2009b). Program on technology innovation: integrated generation technology options; Technical Update, November 2009. ISA, (Integrated Sustainability Analysis), (2006) Life-cycle energy and greenhouse gas emissions of nuclear energy in Australia, Dept. of Physics, University of Sydney. Lenzen, M., C. Dey, C. Hardy and M. Bilek, (2006), Life-Cycle Energy Balance and Greenhouse Gas Emissions of Nuclear Energy in Australia. Report to the Prime Minister’s Uranium Mining, Processing and Nuclear Energy Review (UMPNER), Internet site http://www.isa.org.usyd.edu.au/publications/documents/ISA_Nuclear_Report.pdf, Sydney, Australia, ISA, University of Sydney. Lenzen, M and G. Treloar, (2003), Differential convergence of life-cycle inventories toward upstream production layers, implications for life-cycle assessment”, Journal of Industrial Ecology, 6, 3-4. NEEDS (2008). Final report on technical data, costs, and life cycle inventories of solar thermal power plants. Nicholson, M and P. Lang, (2010), Zero Carbon Australia – A Strategic Energy Plan: A Critique. Radosevich, L. (1988), Final Report on the Power Production Pase of the 10 MWe Solar Thermal Concentrating Receiver Pilot Plant, SAND 87 – 8022, NREL, Sandia National Laboratories, Alberquerque. Sharman, H., (2005), ‘Why UK power should not exceed 10 GW’ ,Civil Engineering, 158, Nov., pp. 161 – 169. I’ve recently noticed ABARE’s 3900 PJ/yr for Australia dovetails with David Mackay’s 125 kwh/person-day for the UK. I’ll omit the calculation but for Australia it works out about 123.5 GW average power divided by 22m people gives 5.6 kw per head. Mackay’s 125/24 hours is 5.2 kw per head. I’d have to search the long pdf but I think ZCA were talking about overall energy savings of 50% perhaps more. That seems consistent with Ted Trainer’s figures. ZCA are in dreamworld if they think Joe Average will happily swap a 5 kw lifestyle for a 2-3 kw lifestyle. They presume little buggies will be as much fun to drive as SUVs or that we will understand the need for frequent brownouts. Don’t think so. This article applies a flame thrower to most of the ZCA fairy story.It was looking rather singed already. There is lot of wishful thinking among certain elements in Australian society,that is, those who are conscious,if only barely. If wishes were fishes we would all cast our nets in the sea. The gauntlet is thrown down. Will they respond? Possibly, but it’s not likely. After all, the ZCA2020 report has already achieved its goals (having a convenient well publicised document non-technical people can be directed to in order to derive politcal support). There’s no need to risk spoiling it by talking about it too much. Congratulations to Barry Brook for actually putting credible numbers into the debate, rather than simply sticking with a dogmatic policy position. Don’t you mean increased by 20%? Looks like a great blog, by the way! I didn’t know what DNI meant, but figured it had to do with insolation. Great report. when you add overbuild and affiliated costs to the fallacy of the assumptions around “decoupling” energy use from growth (which adds exponentially to the overbuild/cost issues analyzed by Lang/Nicholson), you’ve got what seems to me to be a reductio ad absurdam argument against green capitalism based on renewables. Great piece of research Ted Trainer. Thanks very much. It’s good for people like me to have a sensible and realistic assessment on the viability of the renewables especially sun and wind to deliver Australia’s future energy needs. You have also indirectly given a big thumbs up to the source that can and will deliver a future clean[greenhouse free] and secure energy supply viz. nuclear. I’m sounding like a cracked record, I know. But in view of what many countries around the world are doing, it is essential that Australia joins in the nuclear push and starting very soon, like NOW. Check my piece in the Adelaide Review guys. John Baez, thanks for picking that up. You are quite right, it should have read “increased” not “reduced”. Check my piece in the Adelaide Review guys. I googled the AR, but I can’t seem to find the article. Great review Ted, thanks for the critique. Hey, how about NO ECONOMIC GROWTH in the years ahead?? What then? Are we screwed, or possibly save? If you want to live with out health services, education, public transport, water supply, sewerage and electricity, as your post suggests you do, why don’t you go and live in an igloo in Antarctica and live off the land – with no imports of goods from the outside world. Could you please look at the chart under “Living Standards” and say which of these you would like us to go back to? We can achieve all that with nuclear energy. But the anti-nukes need to throw of their hatred of logic. Quite right Peter Lang. Now that Greg Combet is the Minister for Climate Change, I’m about to tackle him with the need for the ALP and the Coalition and the Greens for that matter to “throw off their hatred of logic” develop a bit of long overdue bi-tri partisanship[I notice Peter Beattie and Noel Pearson are calling for some of that as well in their pieces in the weekend Australian] and start the nuclear ball rolling for the good of the country and the planet. I’m hoping Combet has an open mind and understands that the renewables etc are too dilute, too costly, too slow and too everything else to ever give us a secure, safe, greenhouse free energy supply. Time will tell I guess. which seems to be saying commercial wind and solar will get a feed-in tariff from 1/1/11. Onyer Aussies for blindly repeating the mistakes of others. 2) he can’t see the flaws in FiT. 2.) I do NOT want to live in what you described and I am not sure how my previous comment relates to that. When I criticise growth economy, I call for *steady-state* economy, not for middle ages economy. 4.) I hope nobody here is forgetting the complexity matter (Josesph Tainter) – nulear power plant are highly complex structures – both to build and to maintain – how does that relate to peak oil realities? Any thoughts? 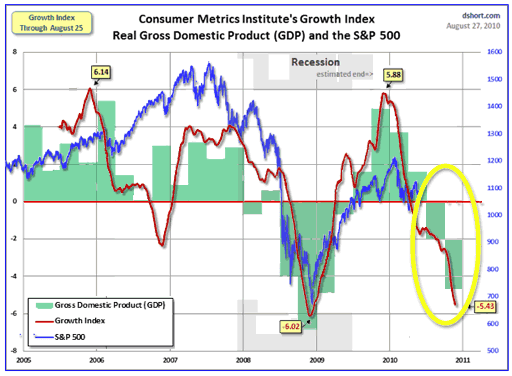 To summarize – you claim that steady-state economy (oscillating – but not growing) is not possible? If not, why not? And even if we are successful with nuclear power (which in short-term I doubt), how does that relates to sustainability? I am staying out of the peak oil discussion. I suggest you post your comments on the “Peak Oil” thread. I also do not accept the ‘doomers’ view of the future. Mankind has always had the ‘doomers’ – from the days when man first began to communicate. They have influenced the world, generally for the worse, and continue to do so. The anti-nukes and those advocating, for example, ethanol and biomass energy, have done enormous damage and continue to do so. I hold them primarily responsible for us having far higher GHG emissions now than if they had been a force for good. For Australian voters. Not sure about Combet, but isn’t Bill Shorten supposed to be pro nuclear, or at least not anti ? Please let us know any other politicians who are willing to look at NP with an open mind. Most of the coalition are positive to nuclear, but cannot lead the debate and cannot come out openly and say so because Labor always uses it for political advantage. They run very effective anti-nuclear campaigns every time the Coalition comes out openly in support of nuclear. This has been going on for decades. Many in the Labor Party are supportive of nuclear. Bob Hawke is now, althhough he wasn’t when he was Prime Minister. i think Paul Keating is now too, but wasn’t when he was Prime Minister (and won an election, in part, by running an effective anti-nuclear campaign against the Coalition’s pro-nuclear policy). Bob Carr is openly pro-nuclear now that he is no longer Premier of NSW. I think Peter Beaty is too, now that he is no longer Premier of Queensland. Mike Rann is said to be but can’t say so while he is Premier of South Australia. Martin Fergusson is pro-nuclear but cannot show his support openly because he is Minister for Industry. There are many others in the Labor party that are pro-nuclear. I believe Labor would have changed its policy and become pro-nuclear in this term of government if it had not had to form an aliance with the Greens. Now I doubt it will be able to do so. Labor’s problem is that it has a powerful left wing component that holds it back. A shift to a pro-nuclear policy would seriously split the Labor Party. More voters would move to the Greens. A steady state economy is compatible with nuclear. A steady state economy that was efficient and hi energy (125 kwh/person/day) is probably not compatible with total reliance on renewables. Is *growth* in nuclear power compatible with steady-state economy, too? world energy consumption is around 15 Terawatts on average. That’s a lot of power. 15 trillion watts of power every second. Divided by 6 billion gives us 2.5 kw on average per person. that’s 60 kwh/person/day. One half of Europe if we average it out. To do this level of energy cleanly would require the growth of nuclear to replace fossil fuels. so, yes, of course growth in nuclear is compatible with sse. Some fuzzy arithmetic. Both Australia (3900 PJ/yr) for 22m people and the UK (125 kwh/d) have 5+ kw average ‘lifestyles’. For Australia suppose that is 4 high carbon + 1 low carbon = 5 which is being generous. By 2030 we may wish to reverse that ie 1 + 4 so we want a 3-fold increase in low carbon. Thus we need to displace high carbon at the rate of 15% per year (20(.15) =3 ) to maintain a 5 kw lifestyle in 20 years time. Has that got a snowball’s chance of happening? I’d say we’ll be riding the coal and gas train until it runs out of puff. Of course it would be a lot easier if we resigned ourselves to 2kw lifestyles for the middle class. Goodbye SUVs, steak dinners and air conditioning. As usual the poor stay poor. Some of your statements indicate you have misinterpreted the ZCA2020 plan. Air-sourced heat pumps can operate to temperatures<-20C(in Canada), MacKay is saying there is a sighting space problem(ground area) with ground sources heat pumps in the much higher density cities in UK. In Australia, with air temperatures usually above 0C, air-sourced heat pumps are a less expensive option and have no sighting space limitations. The ZCA is assuming long distance large truck transport would be moved to rail. Most oil is used for light and medium trucks and for cars, all of which could be EV or PHEV using bio-fuels for extended range travel. A major issue is the time to replace most of the vehicle fleet (15-20 years). High grade lithium resources are limited, but lithium is fairly abundant in low quality deposits and only accounts for 1% of the cost of lithium batteries so a X10 higher price could allow much larger low quality resources to be exploited. Other battery technologies are also available. Manufacturing capacity is probably the major issue. ZCA assumes most travel and freight transport can be diverted to rail. This is problematic; can rail get individuals and consignments to their unique desired destinations well enough given present expectations re convenience and time. Most freight transport is between major population centres, rail already moves massive tonnages. Movement within cities would have to be with short haul electric light and medium trucks. Movement of passengers inter-state by rail would require more rolling stock and would be definitely slower than air transport but what choice will people have when aviation fuel is no longer available(less business travel, longer vacation travel). An economy can function without any air transport. Movement of 75% of intra city transport away from private vehicles to trains would not be possible in 10 years. Other solutions are increased car pooling, increased bus transport, more drive and ride, with more parking at outlying rail stations, all aimed at reducing total VMT and reducing trip length to match EV range. ZCA claims changing from petrol to electricity would enable a 5 fold improvement. This is based on the performance of a light electric car and a Camry. But the figures given refer only to what can be achieved by electricity coming out of the battery, and do not include the losses in getting the energy from the windmill into the battery. Bossel (2004) shows that when distribution losses, battery charging etc. are included there is a 50% loss between windmill and wheels. Oil based transport has refining losses(20%) and distribution losses(5%) and considerable distribution infrastructure. Oil refining also uses additional electricity(173PJ or 15% of the energy content of refined products), about half of the electricity needed to power the entire present transportation system (1330PJ oil based; 330PJ electric based). Existing electricity distribution infrastructure can be used during off-peak ( when losses are minimal 5%). Only charging losses(4%) need to be considered, other losses, such as battery efficiency, motor and transmission are directly compared. For example a Chevy Volt (PHEV) uses 20km/L(0.5kWh/km) using ICE engine and 0.125kWh/km on battery power ie 4 fold improvement. Using older technology lead-acid batteries the Toyota RVA-4 electric used 0.25kWh/km(50kWh battery capacity/125mile range), and the ICE version 1kWh/km(10L/100km; 10kWh/L), so again EV uses energy about 4 times more efficiently. An EV however has additional savings due to regenerative breaking and improved stream-lining, so the Chevy Volt ( or a Prius) has a 50% improvement in fuel economy compared with a similar sized vehicle, so overall can expect >6 fold reduction in energy use per VMT when switching from existing ICE vehicles to EV and PHEV. A large petrol driven vehicle( Commodore) would travel 200,000 km in lifetime(10-15 years) and use 14L/100km, or 28,000L(36MJ/L=10kWh/L) or 280,000kWh. Automobile manufacturing uses about 1% of life-time energy, an another 5-10% energy in materials, mainly steel(2000Kg steel requires 1000Kg of coal; 25,000MJ or 6,000kWh) . Electric vehicles would require in addition to an ICE vehicle a few Kg of lithium and 40Kg of permanent magnets, if 50Kg of exotic materials requires 60kWh/Kg to refine( 20 times more than used to produce steel), that’s only 3,000kWh or 1% of a large ICE vehicles lifetime fuel use. Re-cycled steel and electric motor magnets would require considerably less energy. The most important unsettled issue re embodied energy costs is whether a full accounting of all ”upstream” factors has been included. For instance in addition to the energy it takes to produce steel it is important to include the appropriate fraction of the energy it took to produce the steel works, etc. If all of the steel used to produce a steelworks is recycled ( highly probable) its not going to matter if existing steel-works capacity is available. Lenzen and Treloar argue that for steel a full accounting more or less doubles the figure arrived at. This seems highly improbable, unless a steel works only produces 2 times the steel content of the works in its lifetime! The Australian steelworks produce 8million tonnes or 320million tonnes in a 40 year life-time, its difficult to envisage 160million tonnes of steel being used to mine, transport iron ore and coal used to refine 8million tonnes per year, when Australia is exporting 50 times these volumes of coal and iron ore and steel production is only very minor part(<1%) of the economy. At present only 20+% of final energy used is in the form of electricity, so for the ZCA case a great deal depends on how much of the remaining 80% can be shifted, and this is not established. They are saying all NG used for electricity production(284PJ), space heating and hot water heating( 800PJ) and 22PJ used for oil refining is replaced by electricity, while for petroleum(1,900PJ) used mainly by transportation(1320PJ) is replaced by electricity and the 143PJ of electricity used in petroleum refining is also saved, or 2500PJ of the 2800PJ of oil and NG, or >9/10 of the remaining 80%. The other really big saving is the 2,200PJ of coal used primarily to generate 660PJ of electricity that is replaced by wind and solar. Some good wind regions might be able to integrate much more than 25% of supply from wind, but 40% cannot be assumed as a valid figure for Australia. The ZCA plan has 50GW total wind capacity and accepts some load curtailment above 70% output(35 GW), the minimum demand. Most of the balance is to be provided by CSP and thermal storage (0-42GW), with 15GWbiomass back-up of CSP and 5GW hydro. The main problem for the plan is to provide for Victoria, and the nearest solar thermal plant assumed is at Mildura. Bureau of Meteorology data show that in winter Mildura has more than 11 days a month “cloudy” and only about 7 days a month “clear”. Provision to store for 4 days would require about 5.6 times as much storage capacity as they assume. f we take the 17.3% figure and 2.65 million square metres of reflectors and the average 7.9 kWh/m2/day ZCA assume, then output only averages 143 MW, not 217. Ted is confusing maximum capacity (217MW;195MW net) with average output about 97MW( at 52% capacity factor), assuming 17.4% recovery(2.65M sq m x 8kWh/dayx0.174=3700MWh/day or 150MW average. The difference (53MW) is the power curtailed(35%) in summer to insure sufficient winter output. This is because in Fig4.1 the actual output of the NEM grid connected wind farms is used, NOT the assumed national grid that would cover a much larger geographical area and a claimed 15% firm. Since CSP capacity is 42GW there is a lot of capacity on hand but a capacity factor of 50% dues not seem excessively low. I would agree that 17h thermal storage doesn’t seem to be enough. Peter Lang, Paul Howes of the AWU and an increasingly prominent Labor person is strongly pro-nuclear and I have three letters from him telling me that he has a group who are pushing for it. Have just sent a letter to the Oz critical of the Greens for their illogical, irrational opposition to uranium mining and exports.Am about to write to Paul Howes again and to send him a copy of my Adelaide Review piece. Great work you are doing – and have been for a very long time. If we all did as much – writing to politicians, influential people and media – I am sure we could convert sufficent numbers of people to get the anti-nuclear policies changed. I say to others watching and reading this, while we are divided about whether to advocate symbolic gestures or policies that will really achieve emissions cuts, we are sending mixed messages; so we’ll be less effective. While we argue for symbolic gestures like a carbon tax, I believe many in the community recognise that the arguments are being diven more by ideological agendas than a genuine concern for cutting emissions. This makes them cynical and damages the credibility of those advocating emissions cuts. Ted Trainer has been a lone voice for three decades, and nice to see him still in there unwavering in his core thesis: doesn’t matter if we try to go nuclear, wind or solar or geothermal, an unbridled, growing affluent society will come unstuck in the long run. To that extent, the BZE team and Brave New Climate folk have heaps in common. Both have a firm belief that conversion of energy supply from fossil fuels to alternative energy sources is entirely feasible and can be achieved in relatively short timeframes. Technological optimism. A strong focus on supply side. Swapping unsustainable gigawatt-hours with sustainable ones. That’s what the two teams both share and celebrate. This is, by the way, a very masculine debate. Look through the commentators in these columns and run through the editors and advisers of the BZE project and we are looking at a virtual all male domain. Blokes are drawn to supply-side technical solutions, as opposed to fundamental social change. This gener imbalance can be simply attributed to the natural affinity that males of our species has with engineering profession, but I think it says something about the debate and other, missing, dimensions to it. The head-butting discord between the two groups is really one of competition for attention. In the long run we will end up with a good mix of the both types of technologies, I suspect. Particular advantages of soft technologies (rapid installation) versus nuclear (reliable base load supply) will ensure that. The BZE proposals are truly outlandish in their (technically impossible) timescale of implementation – retooling transport infrastructure within 10 years is logistically not possible and environmentally perverse. But I think their team is fully aware of this. BZE’s plan is brazen in its science but also pragmatic in its politics. A timeframe of 20 years plus doesn’t attract attention with policy makers, nor the general public. A 10-year timeframe puts it in the realm of the near future and immediate politics. Note also that much of BZE’s plan has a lot of common ground with those who advocate a primarily nuclear solution. Both parties would agree on the rapid electrification of public transport, for example, one area where fuel switching is obvious. This website is crowded with technicians, focussed on hard numbers, but success of any endeavour has to have a successful sales pitch too – that has to go beyond technology to sociology and politics. Nuclear advocates have to grapple with these multifarious dimensions too. Another thing the two technology groups have totally in common. You really should meet up and compare notes! The only way to achieve this is to establish a dictatorship. Of course the dictator would also have to be crazy enough to eliminate such important elements of the economy and replace them with rail transport. 1. Unlimited power to force compliance. 2. Unlimited funds to invest in the favored “solutions”. This approach has been tried many times before. It is called a “planned economy” and it has never worked. gallopingcamel, Neil has described it directly. To say the proposals are ‘politically unacceptable’ would be an understatement. What BZE is arguing for – and which the two critiques posted on BNC amply display – is that we must forego the technologies that support our standards of living; and that all those things that make life enjoyable for many people will not be available under this plan. This unacceptability will not just happen in the political realm; it’s not just about a remote political debate. The proposals will have a real effect on ordinary people whose lives will be less full and more confined than they are now. They are about replacing a modern society with a kind of pre-industrial society. The proposal to do away with air travel is the most revealing part of their prescription and points to the direction in which they are heading. BZE is not just about energy. They have a political manifesto beneath. And that is the most worrying point. This cycles me back to the first point I made: this is not a remote political debate but fundamental because BZE’s proposals can only be implemented in a highly authoritarian society, completely unlike the one we have now. And that needs to be exposed. Such necessities would quickly be revealed if the authors could be effectively confronted on the “how” question of implementation. If someone with decision-making powers, such as a minister, actually started to take this seriously, then this issue would have to be raised. Yet at present, it’s a ‘hidden’ assumption that advocates of such scenarios just tend to comfortably skirt around, and yet at the same time these people argue that we can’t use nuclear power because it hasn’t got political/social capital. Hypocrisy, but I’m used to that by now. Thanks for that! Fantasies like ZCA 2020 cost plenty of money. Can you tell us how much was wasted on this nonsense and who paid for it? I really hope it was not funded by government sources and hence tax payers! The premature advocacy of the replacement of reliable, effective and relatively greenhouse friendly space heating with electric heat pumps is misguided and naive, and likely to lead to perverse outcomes. Again Brave New Climate and the Beyond Zero Emissions group are effectively two sides of the same coin and should partner their efforts instead of trying to do each other in. Even if BZE’s proposals contain fetched elements, they do bravely try to do something about the near impossible situation that the industrialised economies now find themselves in, and thinking outside the square has plenty of merit. Robert Hirsch has since written a new book about how to get out of the mess created by absence of policy, summarised here: http://www.aspousa.org/index.php/2010/09/interview-with-bob-hirsch-on-his-team-new-book-the-impending-world-energy-mess/ It is of note that (like BNC) he is critical of people he describes as being ‘intoxicated on renewables’, but he also acknowledges that there is now no way out of avoiding economic calamity. I admire both BNC and BZE folk for their shared technological optimism and and their brazen attempts to cut through the status quo through aggressive escalation of new technology. It’s certainly not my scene but it has it’s place in the mix of solutions. Interestingly, both camps eschew de-escalation as a primary policy focus, and with that shared purpose they are natural bedfellows and should join forces, insofar as they are on common ground with perhaps ninety percent of their research efforts. I think a good starting point for a reconciliation between nuclear and renewables enthusiasts is for both sides to get the same incentives. Renewables get subsidies (REC, FiT, PTC, purchase rebates) and quotas (RET, portfolio requirements) while nuclear gets loan guarantees and perhaps some military spinoffs. Make it a level playing field so each side gets none or all of the above. Perhaps the only overarching requirement should be steady CO2 reduction which will happen long term anyway with fossil fuel depletion. Thus under the new level playing field nuclear might get feed-in tariffs for the first time. If that touches a nerve it shows one or both sides still believe they have the high moral ground. In my opinion the least-worst path is a fast nuclear build with demand management. Renewables may already be overbuilt. The way to test that is by giving everybody the same deal. While it is not impossible that some synergy between the technology of nuclear power and the technology of renewable power sources may be of objective value (although this is not clear, nuclear power is so far and away the superior that any compromise with renewables simply reduces the value of the whole), there can be no political alliance between these two movements. The ‘renewables’ lobby is anti-nuclear to its core, and largely a front for the development of natgas and the protection of coal. If it was about developing reliable low-carbon power, nuclear would be the only game in town. ‘Renewables’ are a pretence a game plan for business as usual with a veneer of enviro-PC. Well, Finrod, with the greatest of respect, that sounds like a Northern Ireland situation to me. Irreconcilable divisions within the same essential belief system. From a distance one wonders where the lines of division and derision really stem from. Though their passionately held beliefs may be seen to be naive, it is truly disingenuous to label them as a ‘front for the protection of coal’. I know many folk in the renewables movement and although I may not see eye to eye with them, they are as ideologically opposed to fossil fuels as are their pro nuclear ‘foes’. Maybe all I am seeing is straight commercial competition for dollars at play? Or is it the jealous passion of scientists caught up in their own spheres of work? Whatever it is, there is a murky overlap between hard science and emotive passion at play. Unlike the theological positions blamed for certain violence in Northern Ireland through the years, the virtues of the engineering of various energy systems can be ascertained through standard scientific testing. As for the renewables lobby not being aligned with coal and natural gas, why don’t you do a quick poll of your acquantances within it on their opinions of the ideas of Amory Lovins? This paragraph is an offense against the increasing numbers of people from all walks of life, few of whom have ever worked in, or have any monetary interest in any aspect of the nuclear industry, but who nonetheless have become concerned enough about the environmental and economic challenges facing our civilisation to honestly research the options available to us and go where the evidence and the science leads, no matter how much the rational conclusion might conflict with previously held views. This kind of slur Chris has has indulged himself in is easy to make, a cheap shot playing to a home crowd. Those comments of mine were queries not statements. And they were referring equally to both camps. I am genuinely interested in why the two camps are so antagonistic. But maybe that this is just the way it has to be. Scientists are not immune from human foibles, any more than anybody else, it seems. I would add Einstein’s oft quoted observation that it is not possible to resolve a problem by using the same kind of thinking that created the problem in the first place. I expect that we are merely repeating history. Those comments of mine were queries not statements. Really? I think you need to perform a paradigm shift. The one you’re currently using to interpret events is failing you badly. And they were referring equally to both camps. I am genuinely interested in why the two camps are so antagonistic. So go find out all about Amory Lovins and how popular he is in the renewables lobby. That will be the beginning of an enlightening discussion. I take it, Finrod, that you are saying Lovins is not popular amongst renewables folk. I’m not too surprised about that. Why should I be? There seems to be plenty of competitive egos out there in amongst the energy lobby groups. In entering this scene I feel like I am walking the streets of Belfast or Baghdad. So much bad blood around, any balance of rationality is lost. So… let’s leave the antagonists to fight it out amongst themselves. I’m taking the first plane out of town, shaking my head in wonder. I take it, Finrod, that you are saying Lovins is not popular amongst renewables folk. Not at all, Chris. You have misunderstood what I’m getting at here. Lovins is quite the revered one in renewables circles. Flight is a poor substitute for reasoning your way through the issues. Chris Harries does not appear terribly willing to have his thesis examined too closely. This is a peculiar attitude to take in relation to an honestly held position. I have no quarrel with the idea that oil’s contribution to the big energy picture is more likely to decline than increase. My beef is with over-educated nincompoops who create “Studies” like ZCA 2020 that imply a “Command and Control” economy with a lunatic in charge to dictate “Solutions” that defy common sense. Reading Mark’s article reminded me of David and Margaret on “The Movie Show” – lousy film, full of flaws, but I’ll give it 4 out of 5. I think Mark’s dominant world-view on climate is that the fundamental obstacle remains the incumbent energy suppliers with their social, political and financial clout. It is only through shifting power from the incumbents can anything meaningful be achieved. Anything that seeks to challenge this orthodoxy is to be commended regardless of fundamental flaws, and in this case, the report received rave reviews. I suspect that pro-nukes tend to have a more realistic view of society’s power structures and are prepared to work with the system rather than trying to revolutionize it and change the world. The Age published an article by Dan Cass, who consulted to BZE for the ZCA plan. It offers some insights into what might be a radical agenda within the BZE community, appearing to recommend using force to enforce climate change treaties if required. The fact that this is being promoted publicly makes one wonder what is proposed privately? “The allies made what historian David King calls the first declaration of war against an individual. Napoleon was soon defeated utterly at the battle of Waterloo.” ……..
Graham, that is a very disturbing quote, but in keeping with what I see as BZE general philosophy, so I can’t say I’m really surprised. While the bit about “renewable baseload” is grossly misleading I’m not sure what is wrong with the quote above. It’s clear that trade sanctions (such as BTA’s) may be an element of some approaches to reconciling a price on emissions with the reality of beggar thy neighbour ‘free riders’. The system must not only have integrtiy but be seen as being capable of being enforceble. Subject to non-discrimination rules, this is fair enough. The phrase “the use of force itself” is ill-defined but sounds like someone running off at the mouth. A system in which ultimately, assets were seized involves “the use of force itself” but I rather doubt anyone, and surely not Mr Cass, would be proposing military action in the sense we normally understand it. I think this will turn out to be a whopping false dichotomy (and, ironically, wishful thinking). it’s interesting to note that the china nuclear build that many here are excited about will, according to IEA, generate 6% of their electricity in 2035.
so the country doing the nuke build the best is, relative to the problems we face, preparing to move at a crawl. it is once again no accident that the sober, realistic market oriented analysts are talking about a very long, slow transition period, too slow if global warming is a serious problem–which is why those like Robert Bryce tend to soft pedal the climate. China’s elec gen capacity seems to be in the area of .85-.9 TW, 80% of which is FF based. That 545 GW of nukes they plan to have by 2035 will be swamped by other sources, not clean ones. Left liberals like Monbiot (HEAT), trying hard to follow the science, thought the world had to cut its carbon by 80% by 2030. Talk about numbers not adding up. what if we need seismic social change and nuclear? Any regulatory system worth its salt has to incorporate enforcement provisions. This includes everything from road safety, to the sales of cigarettes, to vegetation clearance, to the care of children and so forth. If the world community eventually does develop an agreed set of rules to regulate greenhouse emissions etc, then it has to know how it wishes to deal with any nation that subsequently doesn’t comply – or for that matter any recalcitrant state that may threaten the world community’s collective interest. Nearly all regulatory systems rely mainly on goodwill, education, incentives and a culture of voluntary compliance to an agreed set of rules, but necessarily must have as a backstop a means to discourage non-compliance and, as a very last stop, punitive measures where the rules are breached. Is it really outrageous that speeding motorists can be forced to comply with agreed safety standards, that adults can be forced to desist from child abuse, that litterers can be forced to not despoil a city streets? Such rules apply even to those dissidents who don’t believe there ought to be such regulatory systems in place. Your interpretation of the article is that the writer is perhaps mouthing off. After re-reading, I cannot infer anything other than that the writer is proposing some sort of military action, UN sponsored or otherwise. This is a op-ed written for a major city newspaper – this is not a bloke offering an opinion after a couple of drinks with some mates. This is what worries me. Would you go to war against either of the world’s largest emitters because they were climate recalcitrants ? Or perhaps be prepared to have to protect Australia’s borders – we could easily be considered one of the recalcitrants ourselves? I have known Dan Cass through common acquaintances for a very long time. I’d be aston ished if he were actually proposing military action against anyone. Actually, given that Kevin Rudd reportedly went down that path this week without anyone thinking it was more than the desire to talk a good game, I think we can excuse Cass this nonsense. I suppose in extremis Cass might have been thinking of denial of transit to recalcitrant nations’ shipping or some such. I might also ask an obvious question. At the last majof climate conference, about 5% of nothing very much at all was achieved. There were no binding commitments. At Cancun the prospects of any comprehensive and nominally binding agreement to do anything specific are scarcely better. We might get another communique saying that countries sill commit to targets and funding, pending ratification of course. The odds of the members of the Security Council agreeing unanimously to Chapter & provisions for non-compliance with serious comitments are zero. None of the nuclear club are going to wink at someone taking military action against them on non-compliance, even if they read Dan Cass’s remarks. above, I got the figures on nuclear in china (6% of elec grid by 2035) from IEA, Nov. 2010.
this stat though does not sync with the 545 GW nuke build I read about in a Barry twitter. unless the 545 GW is for down the road a piece. or the IEA stat simply does not account for the most recent of China’s intentions. Greg, that 545 GW is not included in the IEA figure. At 85% capacity factor that amounts to 4000 TWh. That would replace most coal fired electricity in China in 2030. Where do you get the 545 GW figure from? I only saw 245 reactors for $511b, no reference to the actual power. A build out of the scale mooted is absolutely required, to have a climate impact. If China really does do this, it will be very good news. You might want to read my full article “From Vienna to Cancun: Reflections on strong international law in a changed climate”. I’m glad that there is now a large community of smart people who are concerned about climate change and debating it thoughtfully, because we need the courage to tackle some difficult questions. A few years ago I would have been howled down but the debate about climate solutions and international enforcement have moved on considerably. I hope you find the longer article useful. My observation is that the security issue of scarce resources, climate refugees, etc. has been canvassed for a number of years, including the US defence department and others. In contrast to the links you provide, the issue your article appeared to raise is the use of force to enforce climate agreements, which I have not seen publicly advocated by any noted organisation or nation before (correct me if I’m wrong). Can you elaborate on what you mean by your statement, and whether this includes direct military action by one nation state or coalition against another on the basis of failing to meet emissions targets? We only deserve to win if we are prepared to enforce climate security through trade sanctions or, ultimately, force itself. I put these thoughts online because I want to provoke some thinking about the opportunity cost of investing in an unenforceable treaty. I am not an international lawyer, so I think the discussion now needs to include those who have relevant expertise. We probably all agree that the UNFCCC has an obsession for most environmentalists and an excuse for inaction from governments and corporates. This failure partly flows from the fact that the UNFCCC is unenforceable, which is the corollary of its universality. My point is that it might be better to have a treaty involving less nations that has enforceable targets and timetables than a treaty of all nations that has no teeth. Other areas of international law are backed up by enforcement, so why not climate law? Think, for example, how it would have impacted on the WTO negotiations during the GATT if everything was ‘binding’ but not enforceable, like the UNFCCC. Would we even have a WTO in that case? Most people would accept the proposition that climate change is a bigger threat than global terrorism. Why, then would we be prepared to use ultimate force for the lesser threat and no enforcement at all on the greater threat? The issues here are complex and contentious and cannot be done justice in short comments on a blog. If you have strong views and good suggestions to make, I hope that you write a longer piece and get it published somewhere. Beyond Zero Emissions…is now producing a second iteration of its Zero Carbon Australia Stationary Energy plan. It will be interesting to see what they’ve taken on board, and how they address it. sorry for not replying to your december 12 comment but thanks for sharing the capacity factor post (never saw it until now). I don’t know where I got the 545 GW number (I couldn’t find it on a quick google search). i thought I got it from a barry twitter. I am more than capable of misreading a number, especially if I’m reading fast. They continue to ignore the more substantive points raised by critics on BNC. Solar thermal developers are not concerned with these very low winter figures and concentrate on the obvious potential for significant summer contribution….. Secondly commercial developers (understandably) rarely make publicly available the key (winter) data on performance. However the evidence accessed suggests that although solar thermal systems will be valuable contributors they will not be able to make a large contribution to meeting commonly predicted demand levels in winter, let alone to solve the problem set by the variability of other renewable sources. Good article explaining the issues with renewables – limits and costs. But not sure about your prescription for a society powered by renewables. I am not really convinced that the “Limits of Growth” argument is correct. I understand everything we have comes from Energy and human ingenuity (and capital). We have virtually unlimited energy with nuclear power. So only capital is the problem. Capital is our land, water, air and resources. We do have to manage our capital. I believe we can do that. But we should stop wasting our time and human resources chasing the renewables dream. We will cut population growth fastest by allowing and facilitating economic growth in the under-developed and developing countries. Fertility (births per woman) will then decrease from average 6 (in the poor countries) to about 2 (as in the developed countries). So we must do all we can to facilitate economic growth in the developing and under developed countries. One of the most important things we need to do to assist the under-developed and developing countries to raise their standard of living (and raise their GDP) is to help them get low cost electricity. It would be better if it is clean electricity. But if we won’t allow them to have cheap clean electricity then it is better that they get dirty electricity than no electricity. If we join the dots, it is obvious that we should stop the obsession with renewables and with high cost, high regulation nuclear. We need to develop sand roll out low cost nuclear in the developed countries so the under-developed countries can have it to. To achieve this, we simply need to set a clear goal for engineers – give us low cost, nuclear energy (constraint: it must be cleaner and safer than coal fired electricity). If we give the engineers that task, they will certainly achieve it. But they are prevented from doing so by the other regulations we impose. I noticed that Ted Trainer has an elaboration of his solar thermal paper available, dated 21-4-11. Are you referring to Ted’s article dated 21.5.11, not 21-4-11?. My comments refer to the article dated 21.5.11. I’m referring to http://ssis.arts.unsw.edu.au/tsw/ST.html which is dated 21.4.11 and just discusses solar thermal. I think Ted’s analysis is interesting because he seems to be asking questions (as you have) related to the efficacy and costing of solar thermal, some of which are glossed over in the literature. My original assumption was that solar thermal’s strength is really in summer peak demand and perhaps the summer shoulder if developers think they can make a business case for it. But of course, peak demand is really a capacity issue and not a carbon price issue. This is where I think some of these issues get conflated and confused. My concern with the ZCA report was that it assumes that solar thermal is viable in winter, and I have a brain explosion thinking of the prospect of millions of Melbourne’s heaters starting up in the dead of winter at 6am in calm conditions at near freezing temperatures, relying on solar and wind and wheat stalks. Thanks for that link. Pretty poor rebuttal – it doesn’t even really address Diesendorf’s key points. I’m surprised they even mentioned a cost like that – credit for honesty, but it certainly doesn’t help their argument. It’s even more premature to assume (as the ZCA plan does) that it will be cost effective. I see that BZE have responded, though not directly here, of course. There is a recently published FAQ on the Stationary Energy Plan, which in simple language addresses itself to many of the criticisms made by Trainer, Lang & Nicholson, Diesendorf, and others. It is unsatisfying, and frequently misses the point of the critiques. “Nuclear power was not considered primarily due to the timeframe requirements … taking into account the lack of any legislative framework for nuclear power in Australia. Nuclear timelines evaluated from worst case business-as-usual bureaucracies, compared to renewable timelines evaluated with the purpose of demonstrating what we could do if we weren’t limited by business-as-usual bureaucracies. Does anyone else think this timeframe analysis lacks integrity? Does this lack of integrity extend to other claims in the analysis? I don’t know if integrity is the correct word. Certainly BZE deliberately puts the strongest case it can for renewables, just as nuclear advocates tend to do likewise for their favoured solution. But you are correct, John, there is an inconsistency in their comparative rationales. By the way, although some countries have taken a few steps back on their intended nuclear programs, post Fukushima, I noticed this morning that Britain’s conservative government is pressing ahead, announcing sites for several new reactors to be built by 2025. Chris, you may have misunderstood my usage. The timeline argument made for renewables appears to come from a framework that is not integrated with the framework that produced the nuclear timeline. There is not an integral set of criteria by which different technologies are assessed. There is no integration of the separate timeline analyses. The quality that the analysis lacks is integrity. John, you have absolutely nailed the hypocrisy. You can be sure that I for one will be citing this highly illuminating comparison in future. I’d like to second what Mark Duffett just said. Thanks John Morgan. This carbon pricing position summary from BZE is dated February 2011, but worth posting here for reference. Interestingly, I can’t locate it on BZE’s site – was it removed? It seems to sharply contradict the extraordinary claims of the stationary energy report, and instead, broadly supports Nicholson and Lang’s claims of unaffordably high costs for BZE’s preferred CST technology. Due to the nature of technology and the electricity market, we would require in excess of $70/tonne even for wind power, the lowest cost renewable, to compete in the electricity market without requiring Renewable Energy Certificates from the LRET. For baseload technologies such as concentrating solar thermal (CST), the game changer we need to replace coal and gas, you would need in excess of $200/tonne for initial plants. Detailed modelling by the Australian Energy Market Operator of a carbon price trajectory of $50/tonne increasing to $93/tonne in 2030, normally associated with Garnaut’s target of 25% emission reductions below 2000 levels, actually shows that all that would occur in the electricity sector is a very large switch to gas-fired generation.